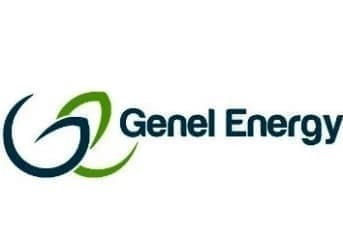 Genel Energy (GENL) is hot right now, with new April finds in Northern Iraq, a targeted uptick in production here, as well as a new gas-to-oil pipeline conversion to come on line this year. The latest feather in its cap is the securing of a rig contract for offshore drilling in its Africa portfolio. In late April, Anglo-Turkish Genel announced the successful testing of a second well in its Chia Surkh license in the eastern territory in Northern Iraq (Kurdistan), near the border with Iran. The second test on the Chia Surkh-10 well yielded a sustained preliminary flow rate of 3,200 barrels of oil per day and 8.4 million cubic feet of natural gas. This is one of five exploration wells Genel has in Chia Surkh, and the testing confirms it’s a significant discovery. This is the leading producer in Kurdistan and the leading builder of infrastructure to Turkey. Genel expects the conversion of a key gas pipeline into an oil pipeline that can reaches 9/10ths of the way to Turkey—plus the newly built add-on--to be completed in the 3rd quarter of this year. Genel is also banking on its Miran field in Northern Iraq, and hoping to close deals with Turkish utilities to provide gas from Miran, which could have around 3.8 Tcf of recoverable resources and 90 million barrels of oil. Stocks are up in London, on the pipeline news, flows at Chia Surkh and a planned uptick in production at Taq Taq. Genel’s shares were also boosted in late April by Total’s find at Taza-1, which adjoins Genel’s Miran. In Africa, Genel announced on 3 May that it had signed a rig contract with Noble Corporation. The Noble Paul Romano deepwater, semisubmersible rig will be used to deliver a high impact drilling campaign over a 2-year period, starting in the last quarter of 2013. The rig has a rated water depth of up to 1,800 meters and a drilling depth of approximately 7,500 meters. What Limits Population Growth in a Finite World?